Welcome to Custom Tours by Clarice, Inc. 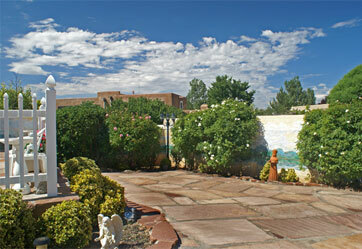 Custom Tours By Clarice, Inc. is the premier Destination Management Company in northern New Mexico. In the past several years, we have been featured in 5 national magazines and 2 books, and our special events have been featured on HGTV. Our Client List includes many of the world's most prestigious Fortune 500 companies as well as numerous luminaries of the entertainment world. 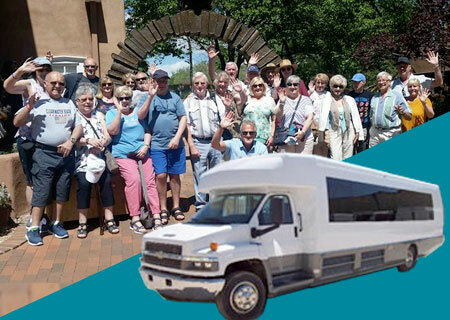 Our firm proudly provides step-on guide service to groups that arrive in Santa Fe on their own bus and tours of the historic district of Santa Fe. Tours can be structured to accommodate time limits for each group. 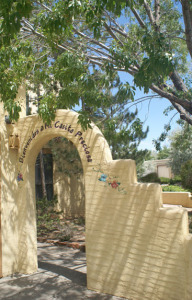 Many groups visit Santa Fe during our most popular festivals, and we highly recommend that you make your reservations with us immediately, if you're in Santa Fe during the International Folk Art Market; Spanish Market; Indian Market; or the Albuquerque Balloon Fiesta. Reservations are mandatory during the months of September and October. Please use our reservation form to make your reservations. western part of the United States. 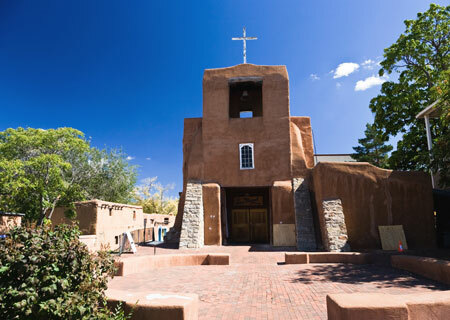 Many of the adobe churches in northern New Mexico are over 300 years old where you will see many santos, made by local artisans in New Mexico villages have created their own depictions of the saints. In addition to our tours, we are proud to offer Team Building for corporate groups as well as a wide variety of special events for groups. For those events, we use our own special event equipment, including: tables; chairs; dishware; flatware; glassware; props; sets; costumes; pipe and drape; theatrical backdrops; and over 150 cardboard stand-ups as part of our inventory to fully decorate any venue where we produce our events. Each special event includes a fully-catered meal and live entertainment and is produced in a beautiful Santa Fe home that can comfortably seat up to 50 guests at any one time. In addition, we are glad to offer Step-On Guide service for your groups, and the cost is only $8 per person + gratuity for that service. Learn how to do the Hokey Pokey & Stroll as you celebrate the 50's with this rousing party. 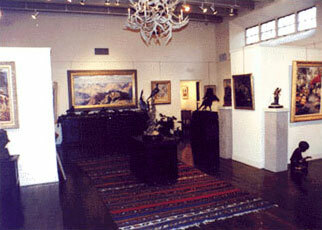 Relive with us the excitement of the days when Route 66 went through Santa Fe! Learn about the history of Santa Fe's proud Hispanic culture as well as the modernization of the town through the arrival of Route 66 and how it affected the growth of our beautiful city! 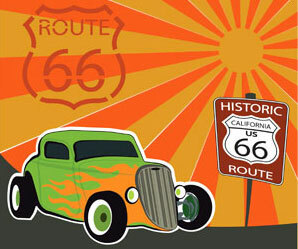 Test your knowledge of Route 66 in our word game and win a Route 66 prize. Numerous Route 66 decorations include life-size cardboard stand-ups of the famous Route 66 logo. Be sure to have your photo taken with that life-size logo for you to keep forever! Pretend you're Humphrey Bogart and Ingrid Bergman, if for only one night! Dance and sing to many of Elvis's songs and become an Elvis impersonator... just for the night! Gaily decorated tables with falsas and pinatas greet you as you enjoy this night of nostalgia about the Mexican culture and history - ola!